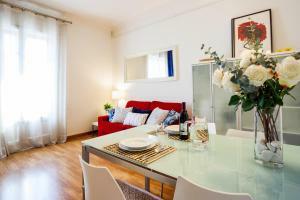 All partments are located within 20 minutes’ walk of Plaza Catalunya, Barcelona’s main square. 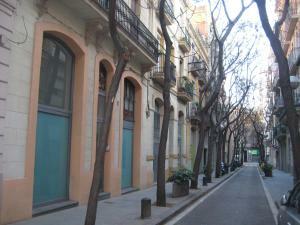 Most are in the stylish Eixample district. 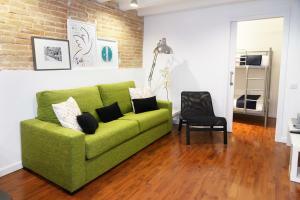 Each apartment has a TV in the living room, and many also have a sofa bed. 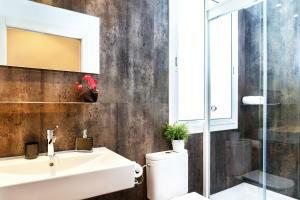 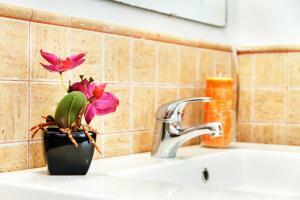 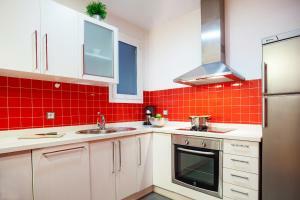 They have modern kitchens and bathrooms and most have parquet floors. 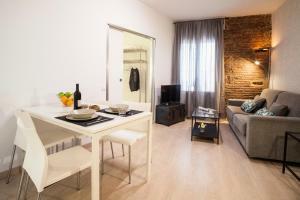 Every apartment is located close to a Metro Station which gives you access to the main tourist sights in under 15 minutes. 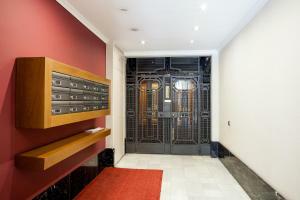 Address: Gran Via de les Corts Catalanes, 421 Feelathome Gran Via B Apartment is located on the second floor of a building with elevator in the central area of Eixample, on one of the main streets of Barcelona. 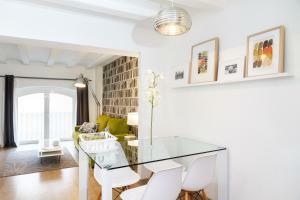 The nearest metro station (Rocafort: line 1) is located just 100 metres away, connecting you with most of the city within 10 minutes. 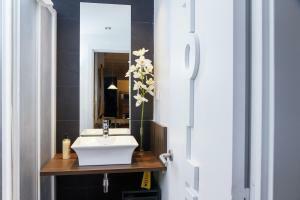 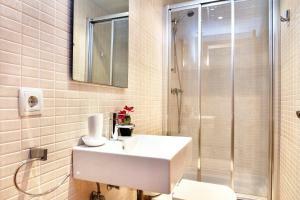 The apartment has two double rooms, one of them with an en suite bathroom. 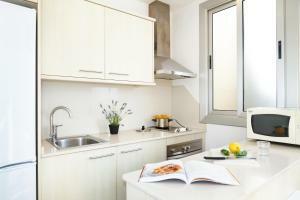 There is a kitchen, a spacious living-room with a double sofa-bed, and another bathroom. 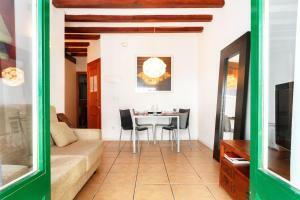 There is also a dining room which leads to a balcony. 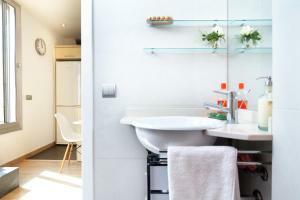 Address: Vila I Vilà, 69 Feelathome Vila Apartment is a studio penthouse with private terrace located on the fourth floor of a modernist building with elevator. 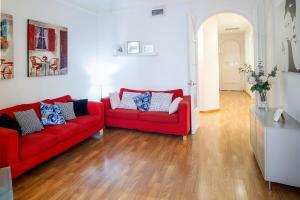 The apartment has views of the southern Barcelona. 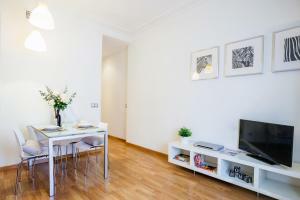 The kitchen and living area share the main space of the apartment and the terrace is equipped with chairs and a table. 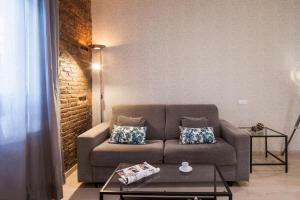 The apartment is located few metres from Paral•lel Avenue, 10 minutes' walk from Las Ramblas and Port Vell The nearest Metro Station is Paral•lel, located 50 metres away, connecting you with most of the city within 10 minutes. 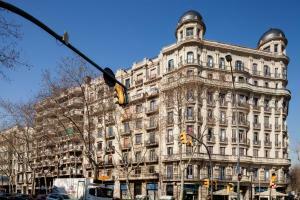 Plaça Espanya and Barcelona’s Trade Fair and Conference Centre is also within walking distance (20 minutes). 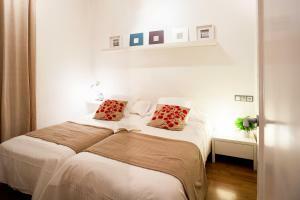 Address: Carrer Pelai 11 The apartments are located just 200 metres from Plaza Catalunya and the famous Las Ramblas. The apartment has two bedrooms, one with a double bed and one with bunk beds. 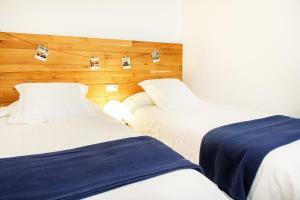 It comes with a fully equipped kitchen and free wireless internet connection. 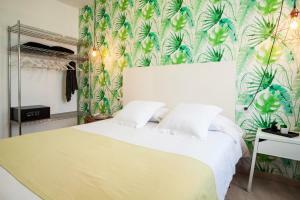 Address: Floridablanca 125 Feelathome Floridablanca Apartment is located on the first floor of a building with elevator in the neighbourhood of Sant Antoni. 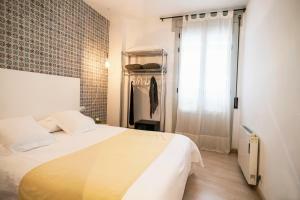 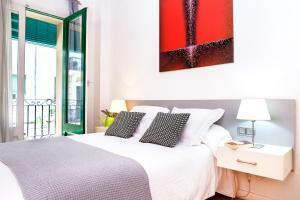 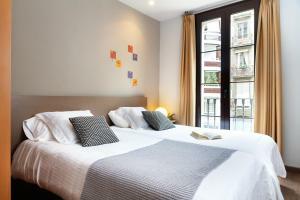 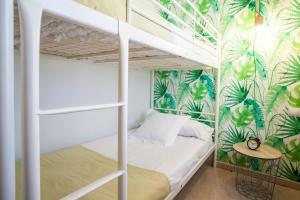 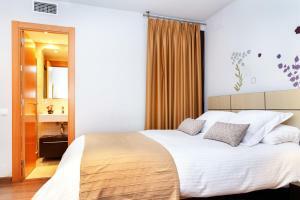 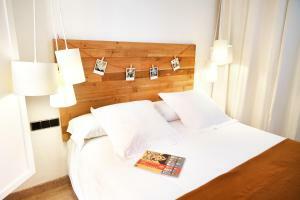 It is a 4-minute walk from Plaça Universitat and just a 7-minute walk from Las Ramblas. 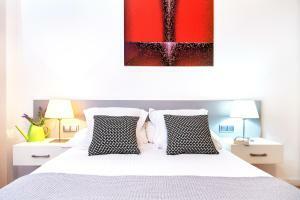 The apartment has 1 twin bedroom and 1 double bedroom, as well as 2 bathrooms, one en suite. 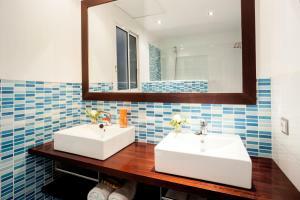 It features flat-screen satellite TV and DVD player and free Wi-Fi access. 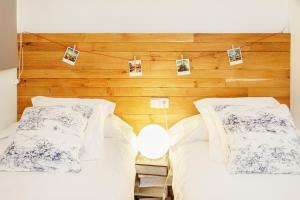 Address: Poeta Cabanyes, 46 Feelathome Cabanyes Apartment is located on the first floor of a 3-floor building in Poble Sec Neighbourhood, a few metres from Avinguda Paral•lel. 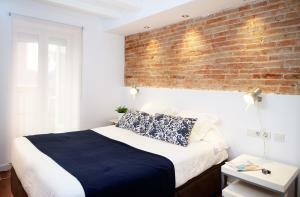 It is under 15 minutes' walk from Las Ramblas and Port Vell. 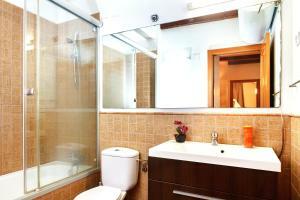 The nearest metro station is Paral•lel, located 200 metres away. 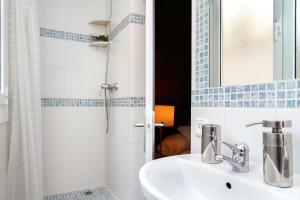 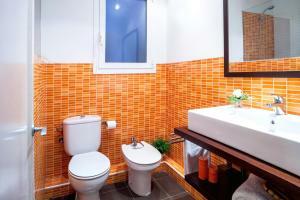 The apartment has one double bedroom, a bathroom with bathtub and a kitchen. 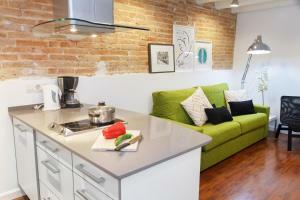 The living-dining area comes with a double sofa bed. 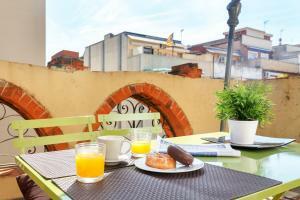 Address: Gran Via de les Corts Catalanes, 421 Feelathome Gran Via A Apartment is located on the second floor of a building with elevator in the central area of Eixample, on one of the main streets of Barcelona. 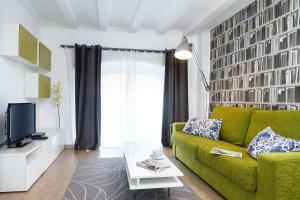 The nearest metro station (Rocafort: line 1) is located just 100 metres away, connecting you with most of the city within 5-10 minutes. 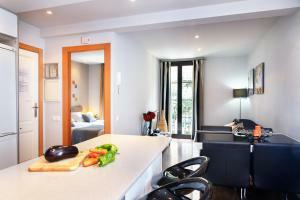 The apartment has one double bedroom, bathroom with shower, equipped kitchen and lounge-dining area with a small balcony. 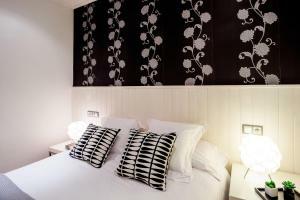 Rate: € 65.00 ... € 148.00; select dates below to get current rates. 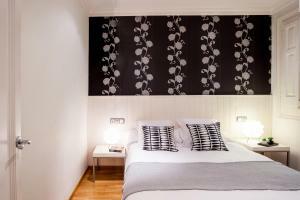 Address: Passatge Maiol 10. 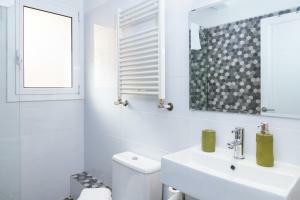 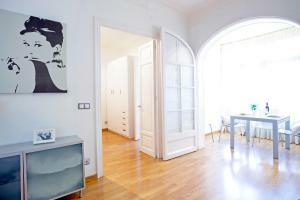 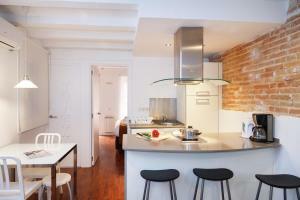 This apartment is located only 50 meters from Sagrada Familia church in Eixample area. 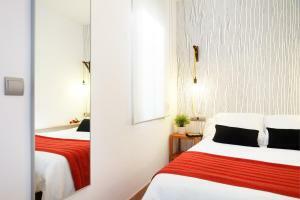 It comes with 1 double bedroom with a queen-size bed and a second smaller twin bedroom. 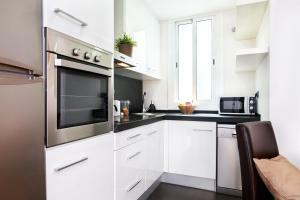 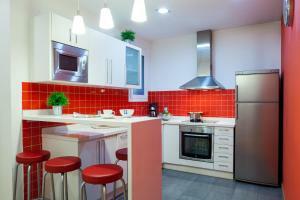 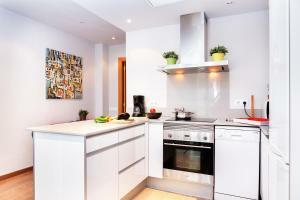 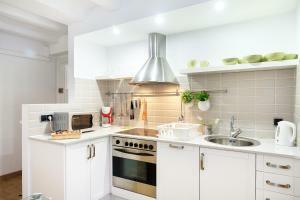 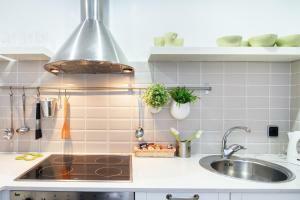 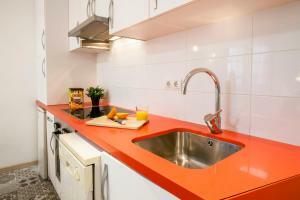 The kitchen is equipped with a dishwasher, microwave, fridge, hob and kitchenware. 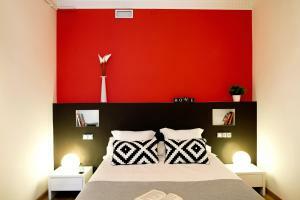 A TV and DVD player are available. 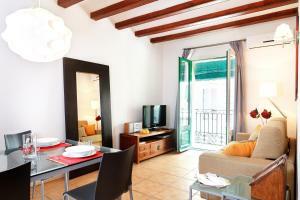 Address: Carrer Francisco Giner 16. 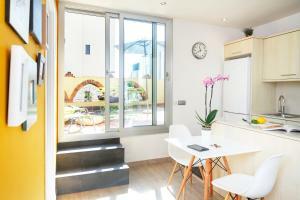 This apartment is located on the first floor of a typical building only a few metres away from Avinguda Diagonal and Passeig de Gràcia, home to Gaudi’s famous Casa Milà and Casa Batlló. 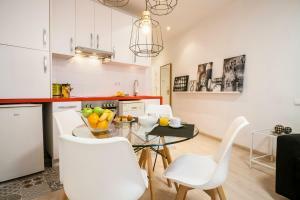 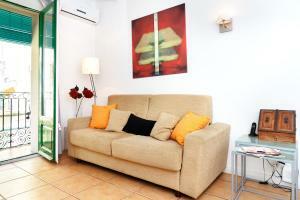 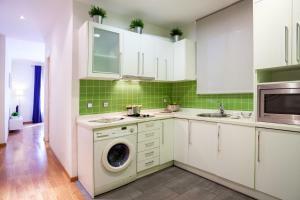 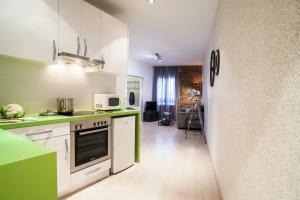 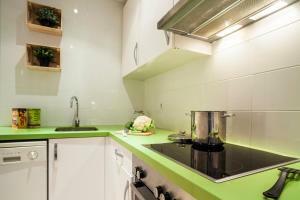 It is a charming studio with free WiFi access, washing machine and equipped kitchen. 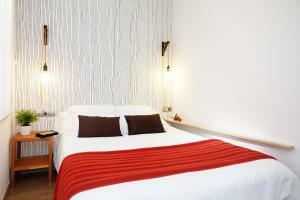 Rate: € 76.00 ... € 333.60; select dates below to get current rates. 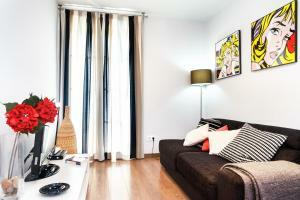 Address: Passatge Maiol 7. 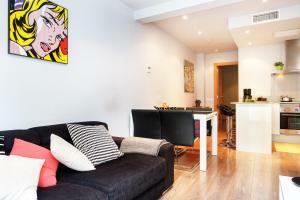 This air-conditioned apartment is located only 50 meters from Sagrada Familia church in Eixample area and it has 1 double bedroom with a queen-size bed and a double sofa bed in the living room. 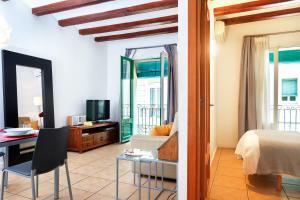 A TV and DVD player are available. 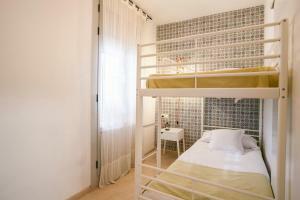 Address: Passatge Maiol 10. 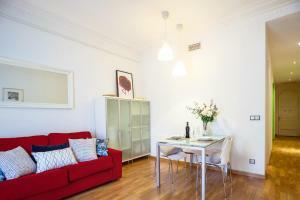 This apartment is located only 50 metres from the Sagrada Familia in the Eixample area. 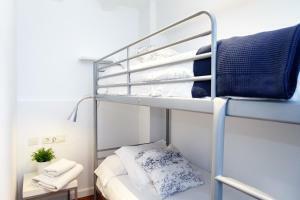 It comes with 1 double bedroom with a queen-size bed and a second smaller bedroom with bunk beds. 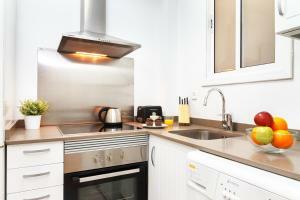 The kitchen is equipped with a dishwasher, microwave, fridge, hob and kitchenware. 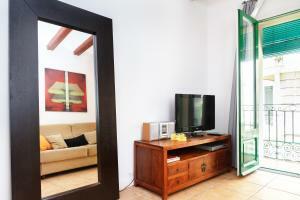 A TV and DVD player are available.